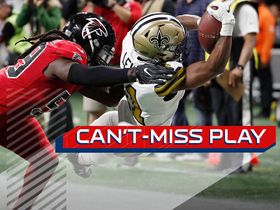 Analysis: Lewis suited up for seven games with the Saints during an injury-plagued 2018 season, posting three catches for 60 yards and one touchdown in addition to his work on the punt-return unit. The 26-year-old has done most of his damage on special teams throughout his three-year career and seems unlikely to see a substantial role on offense no matter where he might land next. Analysis: Lewis had a mere three catches for 60 yards and a touchdown in an injury-plagued regular season in which he played just seven games. Even had he been healthy, however, the 5-foot-7 slot receiver has largely been limited to special-teams work during his three-year career, a trend that is unlikely to change in the future due to his small stature. Analysis: The diminutive receiver has been targeted just twice this season, gaining at least 20 yards each time. The Saints have had a revolving door opposite Michael Thomas, but even with his big-play ability, Lewis has been unable to establish himself. We'd be surprised if he catches on now, even in a favorable matchup Sunday against a Carolina pass defense ranked in the bottom half of the league in receiving yards (269 per game). 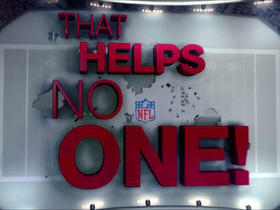 Analysis: Lewis will not suit up against the Cowboys on Thursday Night Football. 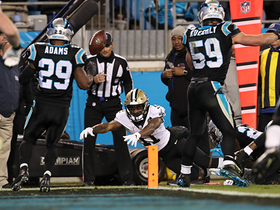 The 26-year-old's absence is notably not due to injury, it simply seems that with Tre'Quan Smith back in the starting lineup Lewis is the odd man out in New Orleans' scheme. Alvin Kamara and Austin Carr should see work returning punts in Lewis' absence. 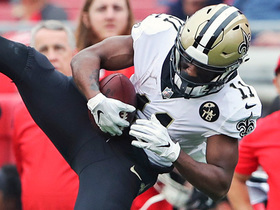 Analysis: Lewis landed on injured reserve following a Week 2 knee injury but he quickly made his presence felt in his return, catching a touchdown on the Saints' first drive. 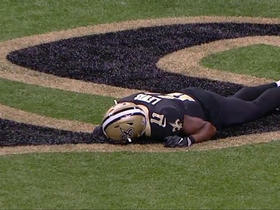 While Lewis was quiet thereafter, the diminutive receiver played 28 of the Saints' 57 offensive snaps. Still, Tre'Quan Smith (toe), who missed Thursday's game, is expected to return to action next week, so Lewis will likely soon return to a reserve role. He can probably remain on the waiver wire in most leagues. The Saints activated Lewis (knee) from injured reserve Wednesday, Josh Katzenstein of The New Orleans Times-Picayune reports. Head coach Sean Payton said Thursday that Lewis (knee) has looked good in practice and is "close to 100 percent", Josh Katzenstein of The New Orleans Times-Picayune reports. 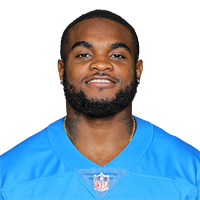 Analysis: Lewis has been on injured reserve due to a knee injury since Sept. 19 and finally returned to practice Oct. 31. The earliest Lewis could be activated from IR is in Week 12, but as evidenced by this news, that seems entirely possible. With the Saints adding Dez Bryant to the receiving corps Thursday, it's unlikely Lewis would provide any solid fantasy value if he's reinstated. New Orleans Saints wide receiver Tommylee Lewis fumbles out the back of the end zone and ruled a touchback. New Orleans Saints wide receiver Tommylee Lewis reaches high for a 20-yard dart pass from New Orleans Saints quarterback Drew Brees. New Orleans Saints wide receiver Tommylee Lewis hauls in a 28-yard touchdown in open space. 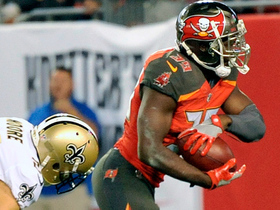 Tampa Bay Buccaneers safety Isaiah Johnson picks up fumbled punt return and takes in 7-yard TD. 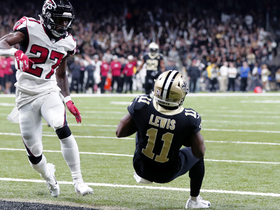 New Orleans Saints wide receiver Tommylee Lewis helps tie the game with an incredible 26-yard touchdown reception from quarterback Drew Brees. 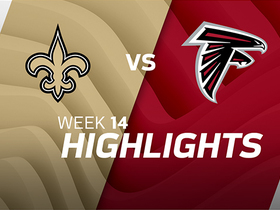 The New Orleans Saints take on the Atlanta Falcons in Week 14 of NFL action. 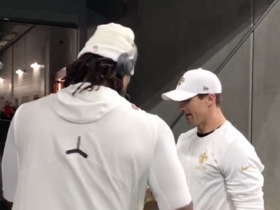 New Orleans Saints QB Drew Brees and defensive end Cameron Jordan sign autographs in the tunnel for fans in Atlanta before Thursday Night Football. 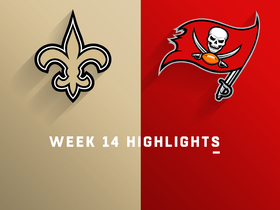 New Orleans Saints' attempt a Music City Miracle-esque trick play, but fails vs. Tampa Bay Buccaneers in Week 9 of the 2017 NFL season.